The modern Chinese political system has largely provided peace and stability since end of the Mao era. Now, the ambitions of President Xi Jinping are calling the political status quo into question. Upon taking office, he has upended long standing norms by abolishing term limits on China’s presidency. Empowered to rule for life, he has sparked fears of another Mao-like dictatorship. The modern Chinese political system emerged following Mao Zedong’s rule. Mao’s hardline Marxist ideology and cult of personality enabled him to orchestrate radical programs like the Great Leap Forward and Cultural Revolution, causing unprecedented chaos in Chinese society. The resultant famine, political purges of “counter-revolutionaries,” and contracting economy led to tens of millions of deaths. In the aftermath, thirst for stability and moderation brought reformist Deng Xiaoping into power. Deng oversaw the drafting of a new constitution that sought to prevent future leaders from amassing the psychological and political control wielded by Mao through a two term limit on the Presidency. The new political structure involved policy-making among the members of the CCP Politburo and implementation through collaboration between the Premier (Prime Minister), the National People’s Congress (legislature), and the President. Operating under the paramountcy of the Communist Party leadership, this system of moving parts and orderly power transfers has been respected by successive Chinese administrations. Xi’s predecessor, Hu Jintao, was known for comparatively moderate policies. While he did not relax restrictions on religious freedom, he maintained the CPP’s approach of ambivalence towards religious groups deemed unthreatening to state authority. Unlike Xi, he favoured consensus building and collective decision making, rejecting the one-man rule of the Mao era. Upon taking office in 2013, Xi swiftly consolidated power in an unprecedented manner. Xi’s signature policy initiative has been arguably the most sweeping crackdown on corruption in modern Chinese history. With endemic corruption presenting a major threat to the CCP’s political legitimacy, the government has trumpeted its arrests of over 100,000 individuals on corruption charges. The anti-corruption campaign has also affected big business by primarily implicating managers of large and powerful state owned enterprises as well as some private sector firms. While many of those arrested may be guilty, there is growing concern that Xi’s anti-corruption crackdown may be a veiled attempt to purge his political foes within the party. Bureaucratic and political reshuffles are common practice for any incoming administration in democracies and dictatorships alike. However, many of those purged for corruption were high ranking officials who threatened Xi’s grip on the CCP. These include Bo Xilai and Zhou Yongkang, who were on the losing side of a power struggle within the Party when Xi took the helm. In addition, of nearly all high ranking officials implicated in the ensuing crackdown, next to none were inner party “princelings” (children of the original Communist leaders like Xi), and none were proteges, allies, or members of Xi’s administration. From this position of strength, President Xi has taken on a much larger role in economic policy making, an area that has traditionally fallen under the purview of the Premier and the State Council. He has also significantly ramped up his cult of personality. Arguably more so than during the reign of Mao Zedong, airbrushed images of a smiling Xi and exalting captions can be found across China, often supplemented by fawning treatment from the state controlled media. 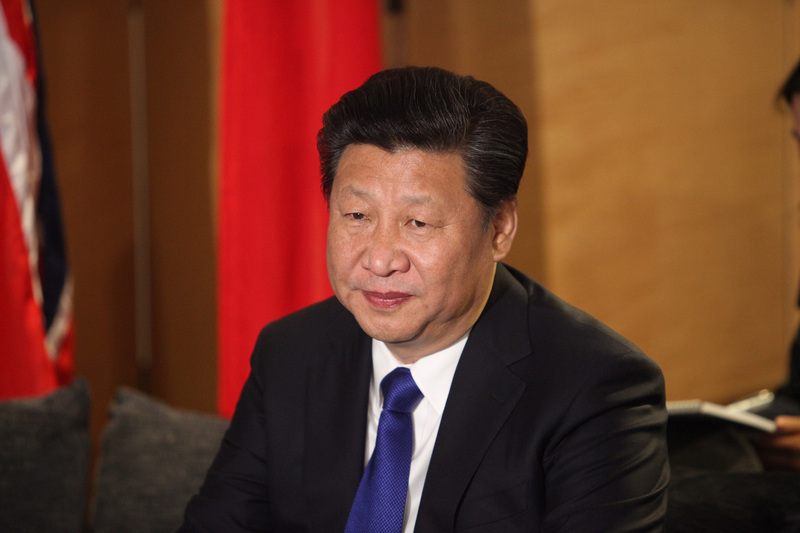 Xi has used his newfound political power to tighten existing limits on civil liberties. While China has never had a free press and regularly prosecutes journalists, the state’s limited control of social media has allowed for oases of free dialogue. No longer. Technological advancements now enable the patching of longstanding holes in the country’s censorship regime. This includes a crackdown on illegal VPN’s and removing access to banned foreign social media and news websites such as facebook, twitter and the New York Times. Fearing the spread of information contradicting the party line, posting politically provocative content will no longer lead to just a deleted post or account, but rather arrests and prosecutions for spreading “false” or “defamatory” information. Sophisticated technology has also been used to detect banned speech on previously “safe” non-Chinese messaging apps like Whatsapp. Social media activity will now factor into individuals’ “social credit score,” a new government rating system that assesses citizens on their behavior through public surveillance cameras equipped with facial recognition and online monitoring. Engaging in even non-political activity the party deems undesirable can lead to social credit downgrades that make basic parts of daily life difficult or impossible. One such case is that of a Chinese journalist ordered to apologize for “illegal” tweets. After his apology was rejected as insincere, his social credit score was downgraded, preventing him from buying domestic plane tickets and using popular messaging apps. No group has bore the brunt of the surveillance state more than the Uyghurs, a Muslim minority in the province of Xinjiang. Ethnically distinct from the Han majority, some Uyghurs have joined a separatist movement responsible for terrorism in the province. However, in the name of national security, the government has retaliated with disproportionate force, interning hundreds of thousands of ordinary people in forced re-education camps. According to an Uyghur journalist, nearly every family has at least one member that is missing. Being deemed too religious due to enrollment in religious schools or frequent praying at mosques can often lead to internment. Prisoners are not only indoctrinated with party propaganda, but also subjected to degrading treatment such as forced consumption of pork or even torture. These egregious violations of human rights would have been very difficult for previous Chinese leaders who lacked the control over the CCP and military that Xi enjoys. With no genuine dissent in the state, party, and armed forces, Xi has been spared the robust opposition that such sweeping changes to privacy and religious policy would otherwise face. By systematically eliminating political competition and harshly punishing “undesirable” behaviour, Xi Jinping has become the most powerful Chinese leader since Mao Zedong. It remains to be seen whether the Chinese political system can constrain his worst impulses, lest they forget the lessons of Mao. Feature image by Foreign and Commonwealth Office, via Flickr Creative Commons.